In order to intervene the status of learning burnout specially and improve the level of learning engagement, thus building up a good learning behavior and improving learning efficiency, the present investigation examined the characteristics of core self-evaluation, learning burnout and learning engagement, as well as the relationship among them in higher vocational college students. Questionnaires were carried out among a total of 705 students from 6 higher vocational colleges with the Core Self-evaluation Scale (CSES) (Du Jian-zheng, 2007), the Maslach Burnout Inventory for students (MBI-S) (Yang Li-xian, 2004), and the Utrecht Work Engagement Scale for students (UWES-S) (Fang Lan-tan, 2008). The results showed that: 1) Correlation analysis showed a significant negative correlation between core self-evaluation and learning burnout. Correlation analysis showed a significant positive correlation between core self-evaluation and learning engagement. Correlation analysis showed a significant negative correlation between learning burnout and learning engagement. 2) Regression analysis showed that core self-evaluation had significant negative prediction on learning burnout and positive prediction on learning engagement; meanwhile learning burnout had significant negative prediction on learning engagement. 3) The mediating effects’ test showed that the influence of core self-evaluation on learning engagement was partly mediated by learning burnout and AMOS 7.0 software statistics showed that the model fitted well. On the basis of the research results and analyzing the relevant literatures, this research put forward some unique countermeasures and suggestions with the hope of supporting the teaching and training work among higher vocational college students. Lent, R.W., Brown, S.D. and Hackett, G. (1994) Toward a Unifying Social Cognitive Theory of Career and Academic Interest, Choice and Performance. Journal of Vocational Behavior, 45, 79-122. Swanson, J.L. and Gore, P.A. (2000) Advances in Vocational Psychology Theory and Research. In: Brown, S.D. and Lent, R.W., Eds., Handbook of Counseling Psychology, Vol. 13, 233-269. Judge, T.A., Locke, E.A. and Durham, C.C. (1997) The Dispositional Causes of Job Satisfaction: A Core Evaluations Approach. Research in Organizational Behavior, 19, 151-188. 杜建政, 张翔, 赵燕. 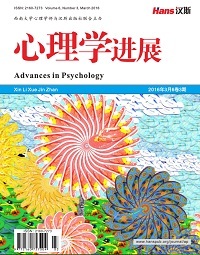 核心自我评价: 人格倾向研究的新取向[J]. 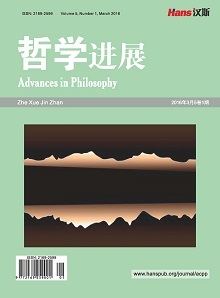 心理科学进展, 2007, 15(1): 116-121. 龚芸. 影响高职学生学习倦怠的个体因素与对策[J]. 职业与健康, 2010, 26(2): 2286-2289. 杜建政, 张翔, 赵燕. 核心自我评价的结构验证及其量表修订[C]//第十一届全国心理学学术会议论文摘要集, 2007. 杨丽娴, 连榕. 当前大学生学习倦怠状况及其与专业承诺关系的研究[D]: [硕士学位论文]. 福州: 福建师范大学, 2004. 任怡. 大学生学习倦怠量表在高职院校的试测[J]. 理论与现代化, 2007(3): 120-122. 方来坛, 时勘, 张风华. 中文版学习投入量表的信效度研究[J]. 中国临床心理学杂志, 2008, 16(6): 618-620. Baron, R.M. and Kenny, D.A. (1986) The Moderator-Mediator Variable Distinction in Social Psychological Research: Conceptual, Strategic, and Statistical Considerations. Journal of Personality and Social Psychology, 51, 1173-1182. 温忠麟, 张雷, 侯杰泰, 等. 中介效应检验程序及其应用[J]. 心理学报, 2004, 36(5): 614-620. 林琳, 时勘, 萧爱玲. 工作投入研究现状与展望[J]. 管理评论, 2008, 20(3): 8-15. 安广义. 工作投入研究综述[J]. 广东工业大学学报, 2010, 10(3): 30-33. 胡桂春, 李莎莎, 周郁秋, 等. 护士核心自我评价对其工作投入状态的影响[J]. 护理学杂志, 2010, 25(20): 56-58. 王婷, 高博, 刘君, 等. 科研技术人员核心自我评价与工作倦怠、工作投入的结构方程分析[J]. 应用心理学, 2009, 15(2): 148-154. 孙小晗, 李永鑫. 核心自我评价与工作倦怠的关系研究: 基于工作要求—资源模型的探索[D]: [硕士学位论文]. 开封: 河南大学, 2010. 张翔, 赵燕. 核心自我评价与员工工作态度的关系研究[J]. 石家庄学院学报, 2010, 12(3): 89-92. 张丽, 赵凯. 基层民警职业倦怠及核心自我评价与其相关的研究[D]: [硕士学位论文]. 南京: 南京师范大学, 2007. 曾红, 李玮, 杨晓峰, 等. 内蒙古大学生核心自我评价与学习倦怠的关系[J]. 中国学校卫生, 2010, 31(9): 1073-1075. 马利军, 黎建斌. 大学生核心自我评价、学业倦怠对厌学现象的影响[J]. 心理发展与教育, 2009(3): 101-106. Brouwers, A. and Tomic, W.A. (2000) Longitudinal Study of Teacher Burnout and Perceived Self-Efficacy in Classroom Management. Teaching and Teacher Education, 6, 239-253. 段陆生, 李永鑫, 赵文德. 大学生学习倦怠、专业承诺对学习投入的预测作用[C]//第十一届全国心理学学术会议论文摘要集. 2007. 张智, 陈镇雄, 乔粉, 等. 大学生应对效能、学习倦怠与学习投入的关系[J]. 中国健康心理学杂志, 2009, 17(3): 282-284. 段陆生, 李永鑫. 大学生专业承诺、学习倦怠与学习投入的关系[J]. 中国健康心理学杂志, 2008, 16(4): 407-409. 谢纷晖. 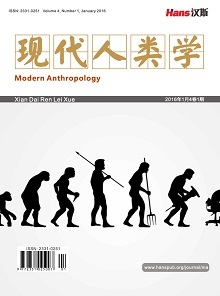 学习倦怠与学习投入相关性的实证研究—基于中学生的分析视角[J]. 湘潭师范学院学报, 2009, 31(4): 143-145. 祝蓓蕾, 徐光兴. 中学生学习倦怠及其影响因素[D]: [硕士学位论文]. 上海: 华东师范大学, 2006. 黎建斌, 聂衍刚. 核心自我评价研究的反思与展望[J]. 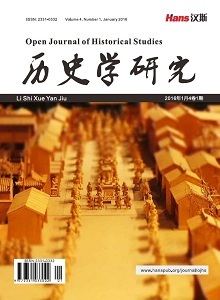 心理科学进展, 2010, 18(12): 1848-1857. Bono, J.E. and Colbert, A.E. (2005) Understanding Responses to Multi-Source Feedback: The Role of Core Self-Evaluations. Personnel Psychology, 58, 171-203. Judge, T.A. and Larsen, R.J. (2001) Dispositional Source of Job Satisfaction: A Review and Theoretical Extension. Organizational Behavior and Human Decision Process, 86, 6. 肖艳双, 徐大真. 高职生学习倦怠状况及干预对策研究[J]. 职教论坛, 2011(33): 88-92.